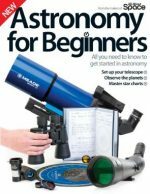 With the advent of inexpensive, high-power telescopes priced at under $250, amateur astronomy is now within the reach of anyone, and this is the ideal book to get you started. 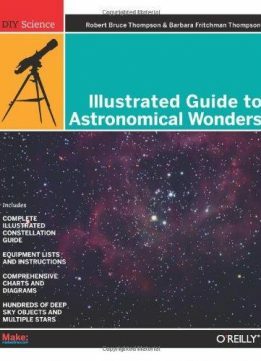 The Illustrated Guide to Astronomical Wonders offers you a guide to the equipment you need, and shows you how and where to find hundreds of spectacular objects in the deep sky -- double and multiple stars as well as spectacular star clusters, nebulae, and galaxies. You get a solid grounding in the fundamental concepts and terminology of astronomy, and specific advice about choosing, buying, using, and maintaining the equipment required for observing. 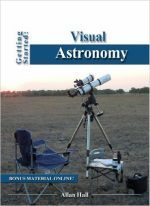 The Illustrated Guide to Astronomical Wonders is designed to be used in the field under the special red-colored lighting used by astronomers, and includes recommended observing targets for beginners and intermediate observers alike. You get detailed start charts and specific information about the best celestial objects. 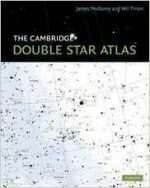 The objects in this book were chosen to help you meet the requirements for several lists of objects compiled by The Astronomical League. Completing the list for a particular observing club entitles anyone who is a member of the Astronomical League or RASC to an award, which includes a certificate and, in some cases, a lapel pin. 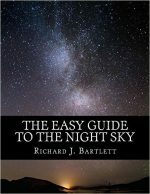 This book is perfect for amateur astronomers, students, teachers, or anyone who is ready to dive into this rewarding hobby. Who knows? You might even find a new object, like amateur astronomer Jay McNeil. On a clear cold night in January 2004, he spotted a previously undiscovered celestial object near Orion, now called McNeil's Nebula. Discover what awaits you in the night sky with the Illustrated Guide to Astronomical Wonders.